SNSD YoonA came to support HyoYeon's solo debut on Music Core! - SNSD | OH!GG | f(x) SNSD | OH!GG | f(x): SNSD YoonA came to support HyoYeon's solo debut on Music Core! Home / Hyoyeon / limyoona / Pictures / SNSD / whyo / YoonA / SNSD YoonA came to support HyoYeon's solo debut on Music Core! 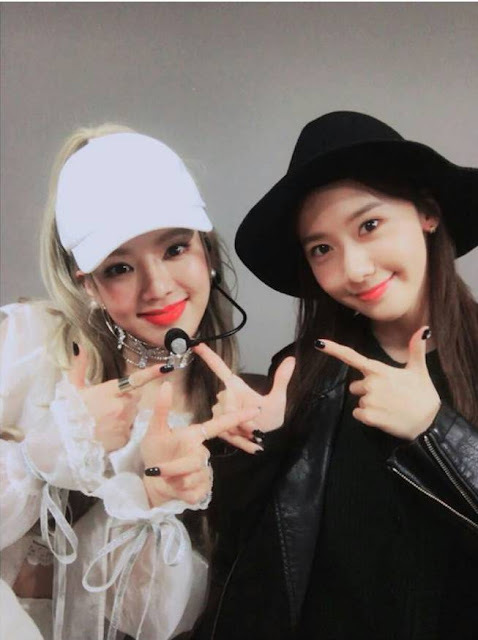 SNSD YoonA came to support HyoYeon's solo debut on Music Core! Love is in the air once again as YoonA was out to show her support for HyoYeon! "HyoYeon: Thanks to Yoona, my strength is coming to life 😍 #LoyalYoong"
"Mystery 🎶 #HyoyeonUnniesFirstSoloSong #Mystery #PrettyCoolWellDone"